But too bad these original trojans were infected by virus (Linux/RST) so I can not share it (dangerous). 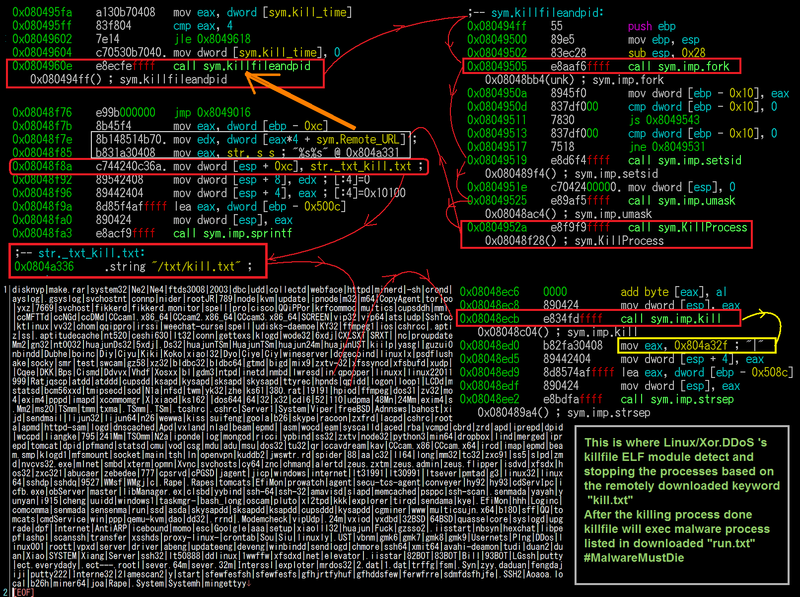 Which was names by AV as slexec, whatever that meaning is, we will stick to the original built name "killfile"
This Linux/KillFile binary is camouflaged itself as bluetooth daemon and executed the downloaded ELF to then running it w/faking it as "Microsoft". It's a small trojan, using the hardcoded CNC as download source, first compiled version looks was dated in April 2014. 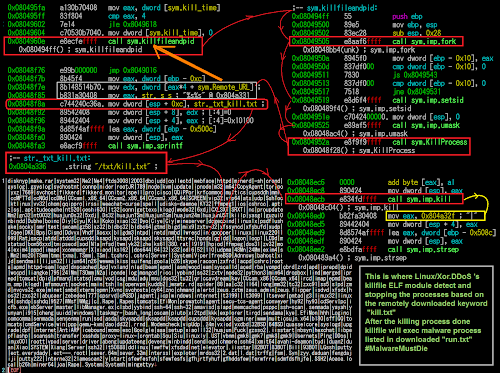 The malware was used by Xor.DDoS by the time we spotted them. It downloads list of filename/process name to be killed and list of file name to be run in the infected hosts. So I am sure someone else too already saw this malware variant before. Please feel free to help to add more sample in here. Thank you. Two more samples , an x32 and x64.